We really enjoyed to stay there. Hotel is in great location. The staff in front desk tried to help us to check in early which was much appreciated. He was very kind to do that. Booked this room for my sister and husband as an anniversary gift. They had a good time and completely enjoyed the view of the NEW YEAR fireworks. The room service food was above average. Think overall, it was a good choice! The staff were extremely helpful and friendly. It takes 15 minutes to walk to the Australian Open venue. The King room with city view that we had was compact and the toilet even more compact. There is one restaurant in the hotel called Hop Sing. One can use the gym at Pullman on the Park free of charge. 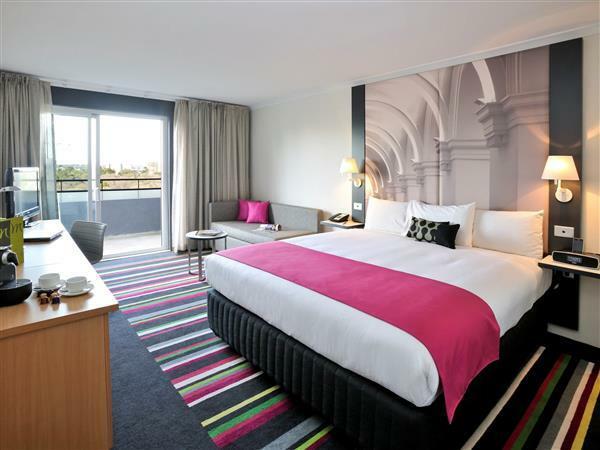 We booked the room in October 2018 for a three night stay and paid over AUD 200 more than if we had booked ithe room two days before going to attend the first two days of the Australian Open. We've stayed here several times. 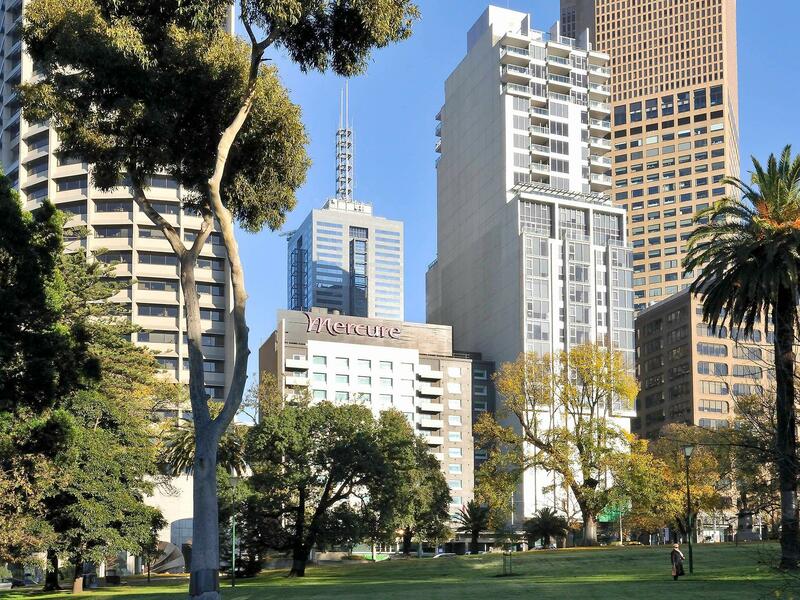 Its location is second to none - quiet as a city place can be, and overlooking parklands, yet within walking distance of everywhere including MCG, tennis, trams and trains. 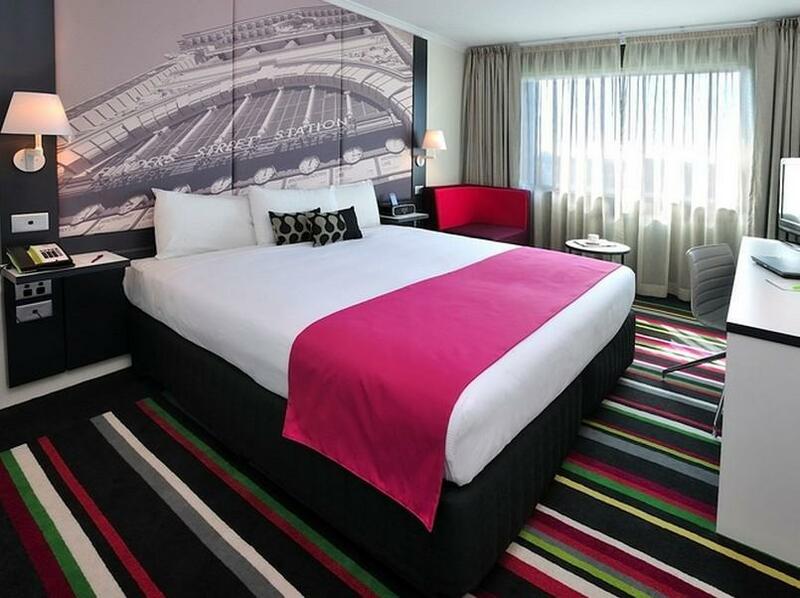 The rooms are comfortable, clean and beds are great. The bathrooms are almost like a game of Tetris but they have everything you would need. We're more than likely to stay here again, the next time we visit Melbourne. I had a really great experience at the hotel. The staff were really friendly and helpful, giving us instructions and recommendations on where to go. They were also able to help us book our airport transfer with the starbus. We were able to check in early even without requesting for it and that was great. I checked in on my birthday and they prepared a plate of chocolates and strawberries and brought it up to my room. That was really sweet and thoughtful. Thank you! The hotel room was quite small but not uncomfortably so, it was very cosy and had everything. We asked for bedroom slippers and they also brought it up to our room. Breakfast was great. We loved that there was a small Asian option everyday with the congee. My mom really appreciated that. The location of the hotel was great. 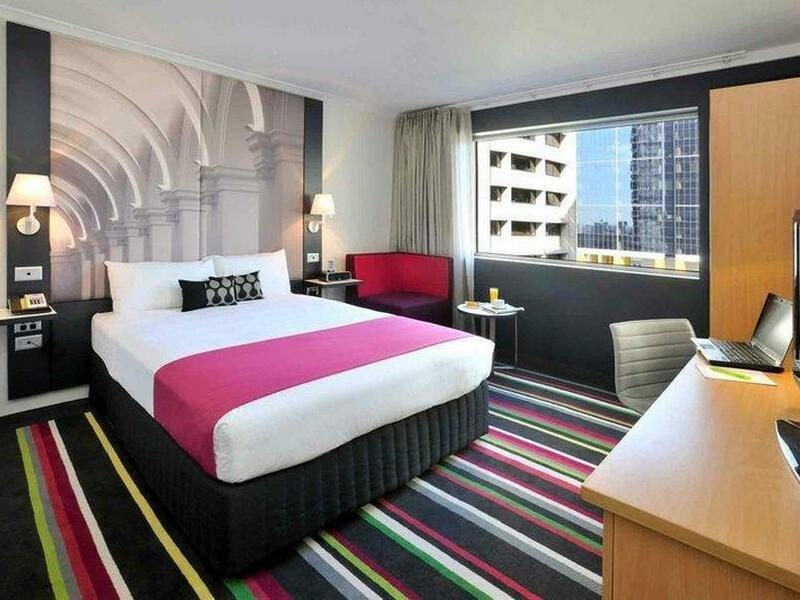 It was in the CBD, there is a tram station just round the corner of the hotel and the metro within walking distance. We were able to walk to Chinatown, and also some of the shopping areas on Bourke St. and Little Bourke St. Overall, we had a very good stay! Stayed during Australian Open. Perfect location as you can walk to the Open from the hotel. Very convenient transport to all areas of Melbourne. Clean rooms, comfy bed. Lemon water near entry/exit welcome service and was always topped up with glasses available. Nice touch and appreciated. The room design is modern. I like the wall picture above the bed. Clean and tidy. Friendly receptionist. Only thing that the gap between the table and bed is too narrow. Cannot walk through if pushing out the chair. Always being hook by the chair leg. Excellent stay. The staff were very friendly and professional. I had a room at the rear of the hotel on a high floor. It was very quiet. The room was very clean and just what I need on a business trip. Small complaint is that the remote control for the TV didn't work. My mum and I stayed there for a night while we were shopping for a wedding dress and we loved it. The staff were very friendly and so helpful. The food at breakfast was one of the best buffets I have ever had. The Mercure Gardens is a quite good hotel, centrally located. The rooms are nice, except for the bathrooms, which are quite small. Internet is not included in the room rate, and the extra price is extremely high ! Pillow selection is great. Decor in room was very nice. Loved the flinders st bedhead. Great location. 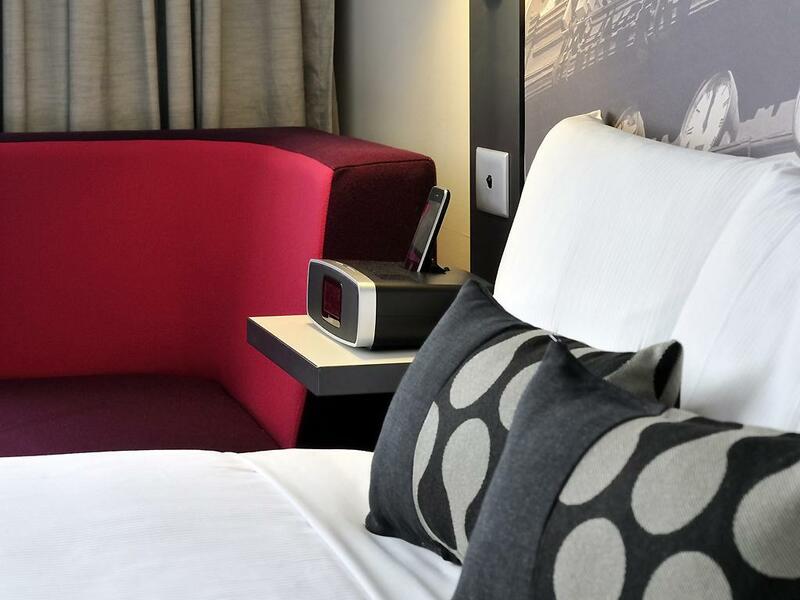 We only needed an overnight stay, and the Mercure was reasonably priced. Disappointed that our king bed was two separate singles so we had a very hard line up the centre of the bed. Did seem like the slightest noise outside the room was amplified and very loud. No view to speak of in our room on the 8th floor. But, we only needed somewhere nice to sleep after a night out in the city and the surprise free 2pm checkout was very appreciated. My stay at the hotel was good. Only problem was the gym was located in another hotel, and those gym facilities were very poor. It shouldn't advertise a gym if it's not present. The photo of the building is deceiving, there's a view of another building giving the impression that it's the Mercure. It's not, you can barely see the hotel. The carpark (directly) under the hotel is terribly small. Fortunately, there's another nearby carpark, which the hotel has association / link up with. The staffs are flexible and service oriented. When my rooms heater were not working, they upgraded us to a bigger room with working heater. สถานีรถไฟ Parliament - ระยะ 0.34 กม.